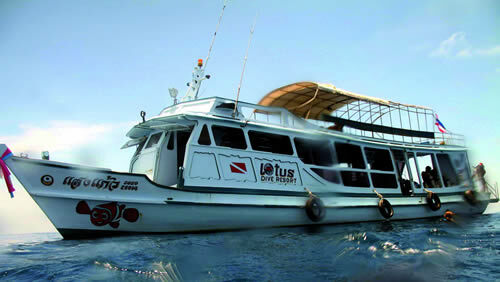 Lotus Diving is Thai owned and operated by local residents of Koh Phangan. Our NEW Dive Center is located on the Northern Coast in Chaloklum, about 10 minutes from Thong Sala. PADI qualified Instructors and Divemasters. Instruction is available in Thai, English, Francaise, Espanol, Deutsch, and Hebrew. Our staff has extensive knowledge of surrounding dive sites and marine life. Conservation is a high priority and all due care and respect is given to surrounding reefs and the land itself. Please complete the form below if you want to receive the latest prices or make an general enquiry and we will contact you as soon as possible.